LEWISTON — After years of standing idle, the former fire station on Lincoln Street may soon be demolished. 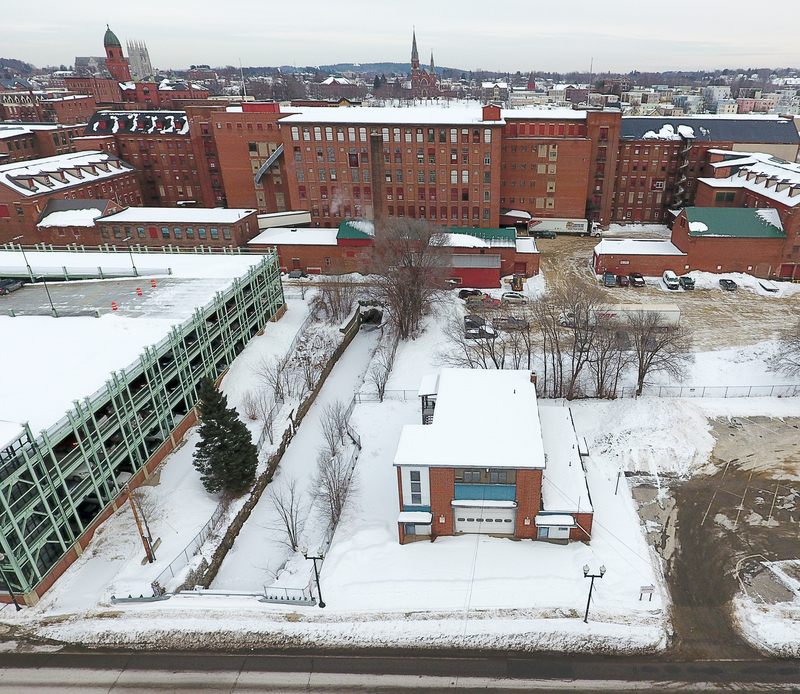 The Lewiston Fire Department substation at 188 Lincoln St. was closed in 1996, and has since been slowly deteriorating, city officials said this week. In the short term, the demolition would make way for an extension of the adjacent parking lot. The City Council was set to discuss the issue during a workshop Tuesday, including the demolition costs, which are estimated to run between $41,000 and $49,000. City Administrator Ed Barrett said Tuesday that there had been recent interest from an individual to redevelop the property into a restaurant or pub, but the costs associated were deemed too high. “At this point, we would suggest that the city proceed to demolish this structure,” he said in a memo to the council this week. He said in the long term, the property, along with adjacent land, has been marked as a potential parking garage in the Riverfront Island Master Plan. For the past several years, there has been a build-up of mold inside the building, he said. The roof drains have failed, allowing water to enter the building. When the station was closed, it was used for the Police Department’s Computer Crimes Task Force and later as cold storage for the Public Works Department, he said. Rick Cailler, a veteran Lewiston firefighter and president of the IAFF Local 785 union, said Tuesday that he has fond memories of the Lincoln Street station. He said the station was “part of the community,” especially when a former community playground and pool were located next door. Cailler said he remembers hosing down neighborhood kids during hot summer days. He said two trucks were housed at Lincoln Street until 1992, when “Snorkel 1” was eliminated. Then, in 1996, with the elimination of Engine 2, the station was closed. He said there were three employees per truck. He said when it was closed, the building was structurally sound. “We never recovered from that,” he said, referring to the Fire Department’s staffing, an issue that has reportedly been at the center of the city’s ongoing labor negotiations with the department. The city and the fire union began a new round of informal mediations on Monday. Barrett said Tuesday that the building demolition does not require council approval, and that the city has general funding for demolition costs. But, he said, given that it’s a city structure, and that there have been recent redevelopment inquiries, he thought it would be best to have a council discussion. He said when it was built, the Lincoln Street station was used primarily for the nearby mills, as the active railroad made access difficult from Central Station. He said once the access issue went away, the station’s role was diminished. 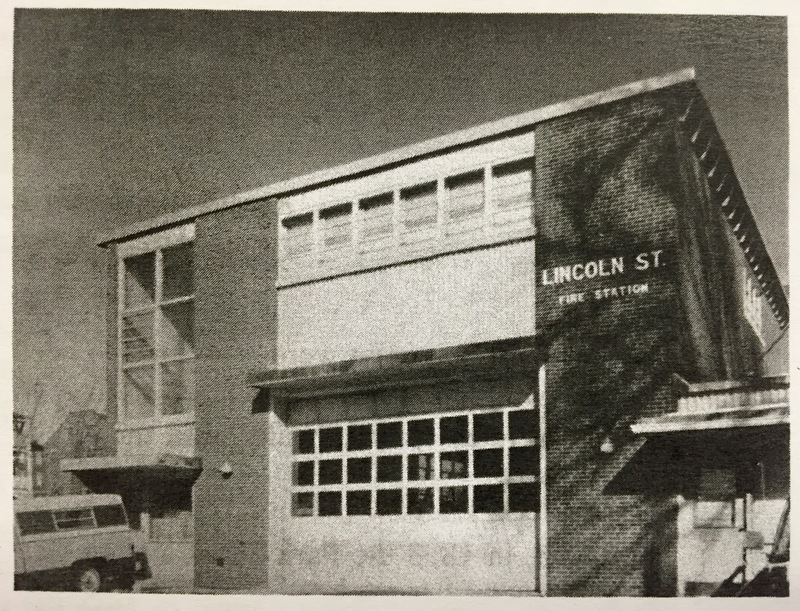 According to the 1989 book “Historic Lewiston: Its Fire Department,” released by the Lewiston Historic Commission, the Lincoln Street neighborhood received its first fire station in 1908, when a remodeled schoolhouse became quarters for Hose Company No. 4. The former schoolhouse was used until the new station was built in 1964. Douglas Hodgkin, president of the Androscoggin Historical Society, said the Lincoln Street area was a “jampacked” residential area during the heyday of the fire station. Many of the surrounding multistory buildings, he said, have since been torn down. When it was closed in 1996, he said, the neighborhood was seeing an “outward migration of population,” which also may have led to the closure. He said the original location in 1908 was debated at the time because of its proximity to other schoolhouses. At the time, fire units still used horsepower, and critics said it would be dangerous to put a hose company so close to schoolchildren. In his memo, Beauparlant summarized his cost estimate for the demolition, which he said is based only on assumptions from a recent visual assessment. He said an environmental evaluation had not yet been done, but asbestos-containing materials might be on site. The majority of the potential cost of demolition would go toward tipping fees and completely removing the foundation.